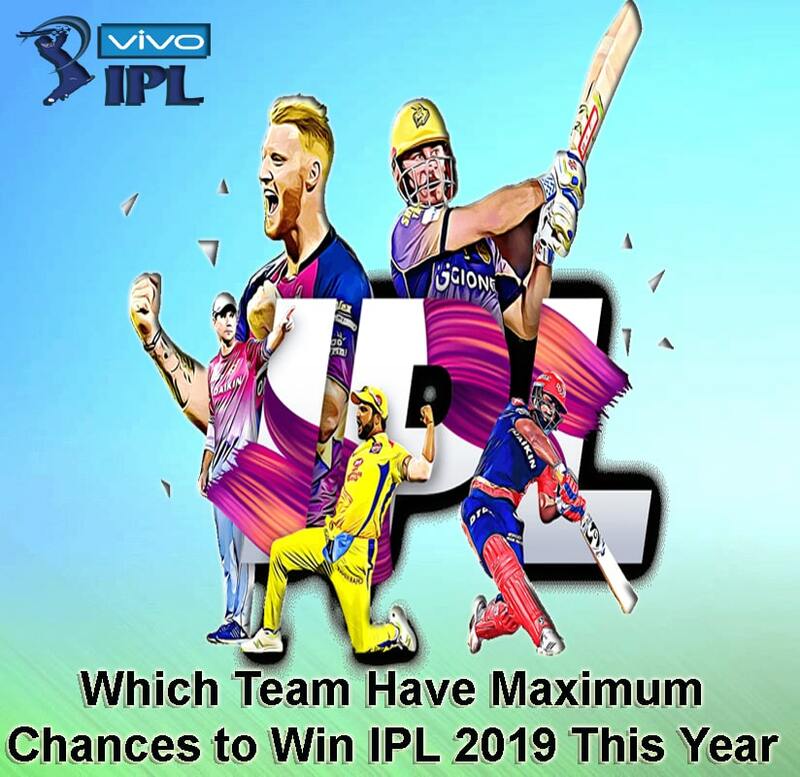 IPL 2019 Predictions - Teams with Maximum Chances to Win IPL 2019? The 12th Edition of Indian Premier League (IPL 2019) is ready to begin with tons of drama and excitement. Fans can’t wait to watch this season as there are a lot of superstars playing the tournament together like always. It is a tournament that provides real entertainment for fans from all over the world. It has once again promised to excite the cricket fans like never before. This is the time when all the cricket peeps are gripped with IPL fever. We all know that with the emotion of excitement, there are lots more emotions fans go through at this time. Curiosity is what makes them crazier. Entire IPL fan club has the curiosity, which is eating their mind – Which Team has Maximum Chances to win IPL 2019? You all can now feel the emotion of peace, because we are going to give a pause to all the questions which are making you curious. IPL 2019 PREDICTIONS – WHO WILL IPL 2019? As always, IPL 2019 is ready to blast our minds this year. But who will Triumph this season? IPL 2019 is going to be a mind-blowing tournament with the eight teams trying to win the IPL 2019 trophy. Ahead of the tournament this year, the most talked about point has been the question that who will win the trophy this season? This, the most curious question must be rolling in your head too. So we find all the teams really strong, rough and tough, even well-prepared and enthusiastic. They all have worked really hard this time, but we know that there is just one king in a kingdom. So the teams who will face of this year are MUMBAI INDIANS, RCB, KKR and CSK.